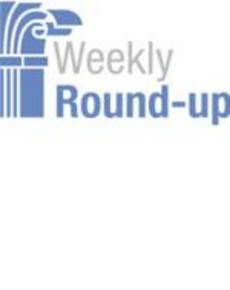 The IBM Center's Weekly Round Up highlights articles and insights that we found interesting for the week ending July 17. Prairie Dog Companions? A Federal News Radio online survey “shows feds are happiest when they work in offices where they can close their doors. Cubicles and open spaces with little separating them from colleagues are a recipe for distraction and lower productivity, they say. ‘My colleagues just pop up like prairie dogs and ask me questions all day,’ said one respondent.” Do Lessons from IRS Scandal Apply? Federal News Radio interviewed Danny Werfel, who parachuted into the middle of the IRS scandal a couple years ago as acting commissioner, much like Beth Cobert has recently parachuted into the middle of the Office of Personnel Management cyber theft case. He offers some useful insights and advice. Is the Past the Future? Federal Times conducts a video interview with presidential scholar Martha Kumar about what to expect in the next presidential transition. Dr. Kumar spoke on a panel with two former presidential transition aides – one for George Bush and the other for Barack Obama – where they reprised some key lessons learned that will be helpful to whomever wins the 2016 election. Lessons in Making Open Data Useful. Government Computer News writes that government agencies have released tens of thousands of data sets to the public, but that the challenge is making that data usable. It points to a city-level app that might be a model: Citygram: “The app links to a city’s open-data platform and sends subscribers a weekly text or email message about selected activities in their neighborhoods. Charlotte officials worked closely with Code for America fellows to develop the software, and the app launched in December 2014 in that city and in Lexington, Ky.” GAO Report: Improving Employee Engagement. GAO conducted a statistical analysis of federal employee responses to the 2014 employee viewpoint survey and identified six practices that were key to driving improvements. The top of the list was “holding constructive performance conversations” between supervisors and employees. GAO Report: DOD Business Systems Modernization. GAO reports on the status of the Defense Department’s efforts to modernize nearly 2,200 business systems, which have now been on GAO’s high risk list for 20 years. It concludes: “additional actions needed,” after Defense has implemented 5 of 16 recommendations GAO made four years ago. Michael J. Keegan Bill to make it easier to fire VA employees advances in House. VA Accountability Act of 2015, would extend the probationary period for new employees to at least 18 months from the current 12. All employees would have a shorter window in which to appeal their firing or demotion. IRS budget cuts make tax season ‘worst in memory’. It really was that bad. The National Taxpayer Advocate has confirmed in a new report what the IRS long warned about: Taxpayers can forget about getting help from the agency amid budget cuts and staff… Federal program management needs help. The NAPA panel identified five key challenges to building effective program management capabilities across the federal government, as well as a list of support initiatives needed for effective program management efforts to take root in the space. Based on its review, the panel said a more systematic approach, backed by the authority of law, would enable a more rapid and consistent development of program management capabilities. DOD looks to new analytics center to tackle insider threat. Defense Department officials hope a nascent analytics center will be a potent weapon in their war against unauthorized disclosures of sensitive information and other insider threats. The Defense Insider Threat Management and Analysis Center (DITMAC) is meant to be predictive rather than reactive, with the help of big data advances and forthcoming policy guidance. The Evolution From Analytics to Dynamics. As health care analytics morphs into modeling, tools and skill sets of IT departments will change. When it comes to personnel in health care organizations, scientists with mathematical skills will play a much more important role than traditional IT staff State Attorneys General Caution Against Federal Data Breach Laws. State attorneys general are asking that Congress not pass any data breach notification laws that would pre-empt existing state laws. Several data breach notification bills are pending in Congress, and the attorneys general warn such measures could hinder state-level laws that already have bolstered security rules, including those for the health care industry. Health Data Management. The Business of Government Radio Show: Interview with Ali Mayorkas, deputy secretary, US Department of Homeland Security. What are the key strategic priorities for DHS? How is the DHS Unity of Effort initiative going? What is DHS doing to improve its operational performance? Join host Michael Keegan and he explores these questions and more with Alejandro Mayorkas, Deputy Secretary, U.S. Department of Homeland Security. Broadcast Schedule: The show airs Monday at 11 a.m., and Wednesday at noon, on Federal News Radio 1500AM WFED. If you can't wait, though, you can listen to (or download) this week's program and all our previous interviews at businessofgovernment.org.